Project Description: new Rhodipor Ecobuild ICF home with swimming pool within basement area. 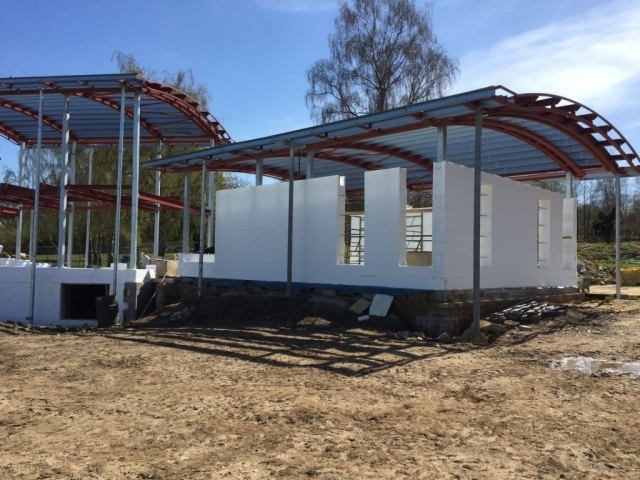 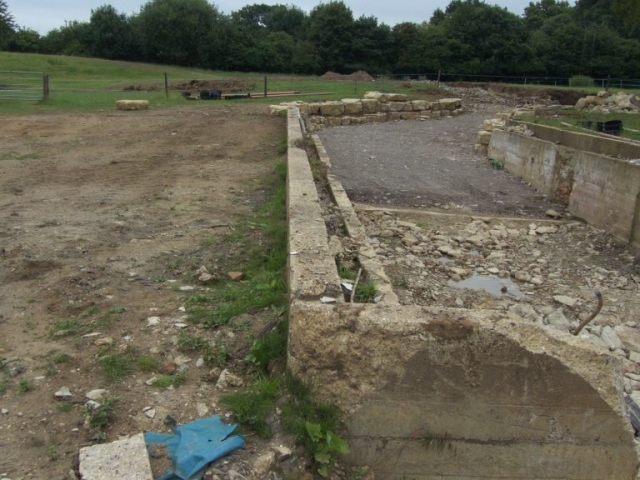 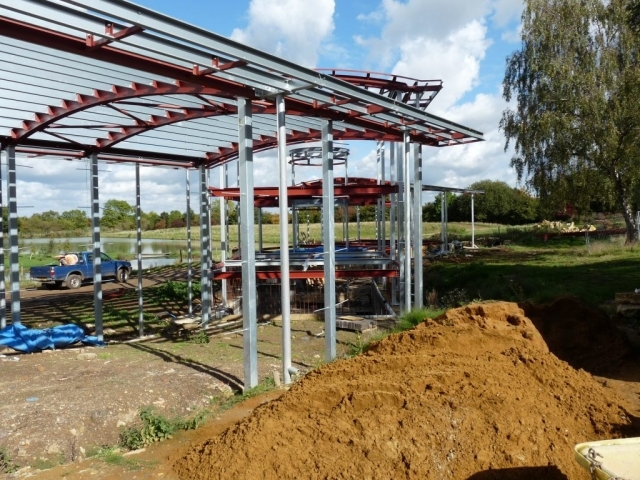 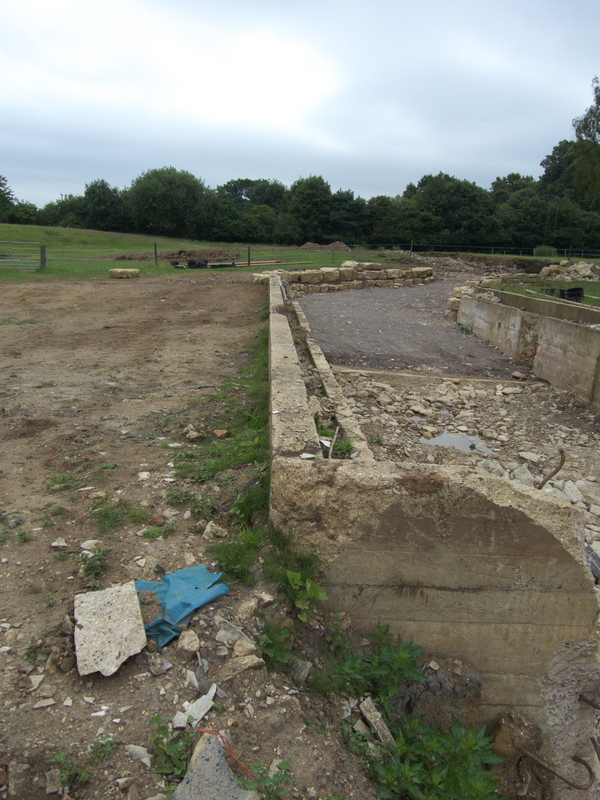 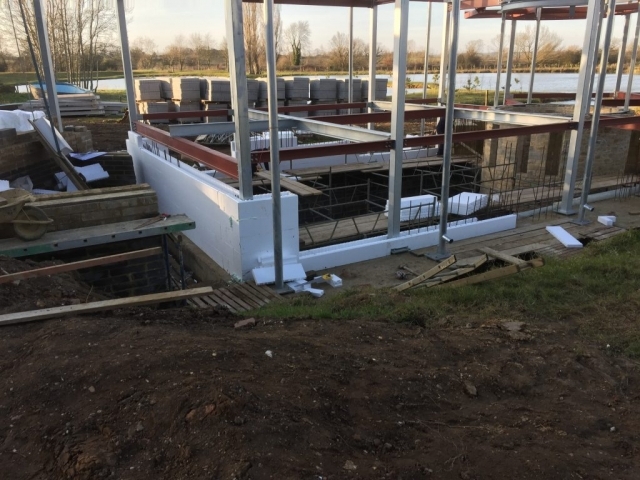 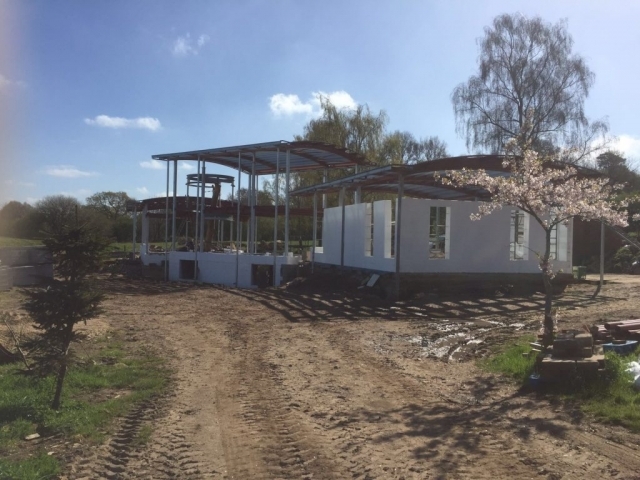 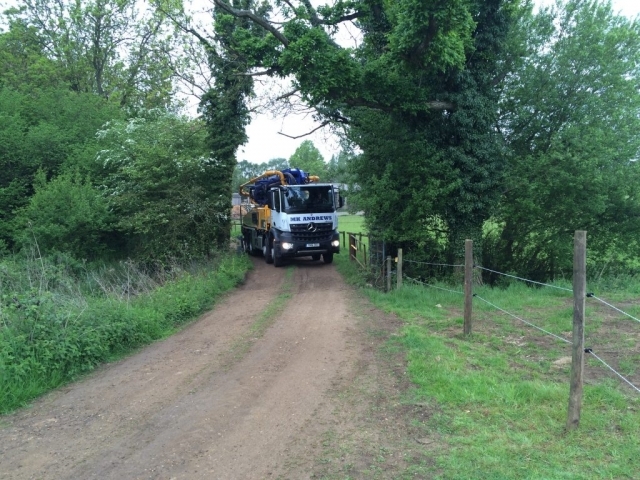 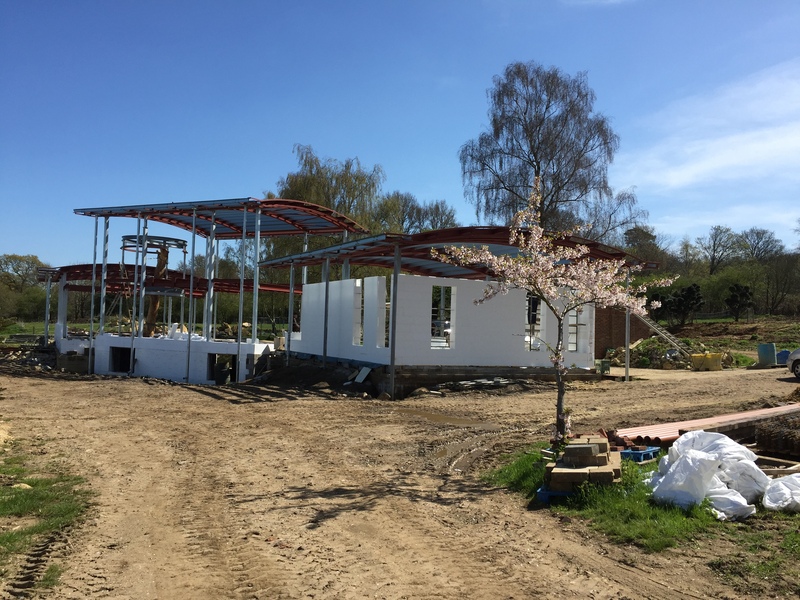 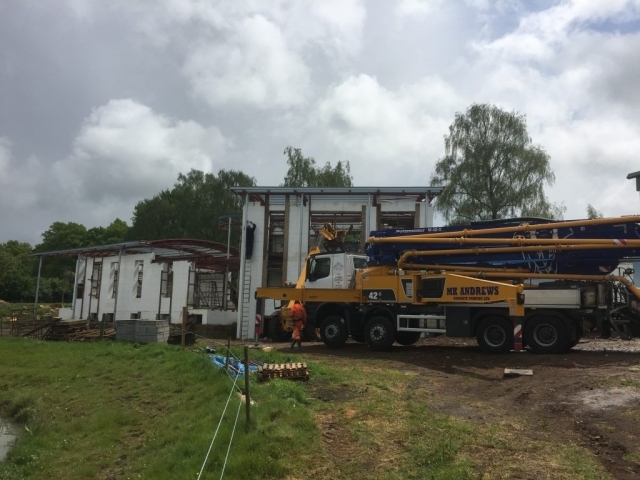 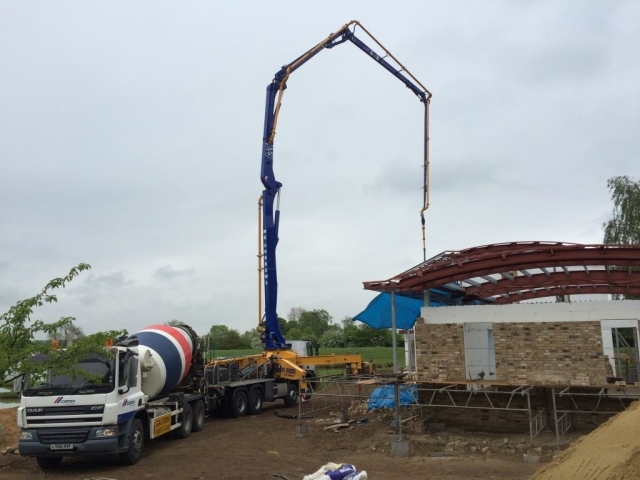 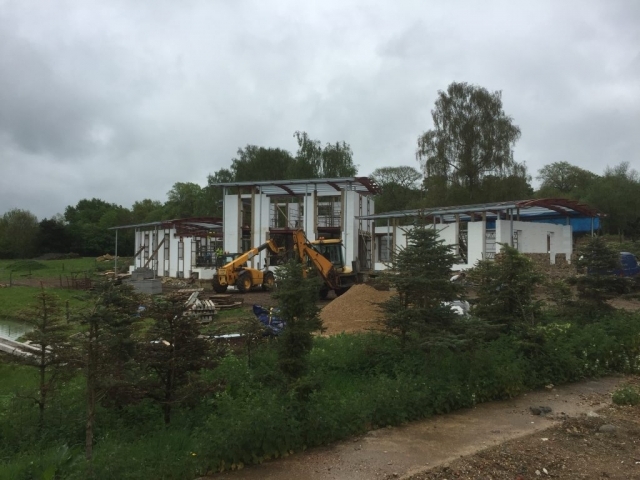 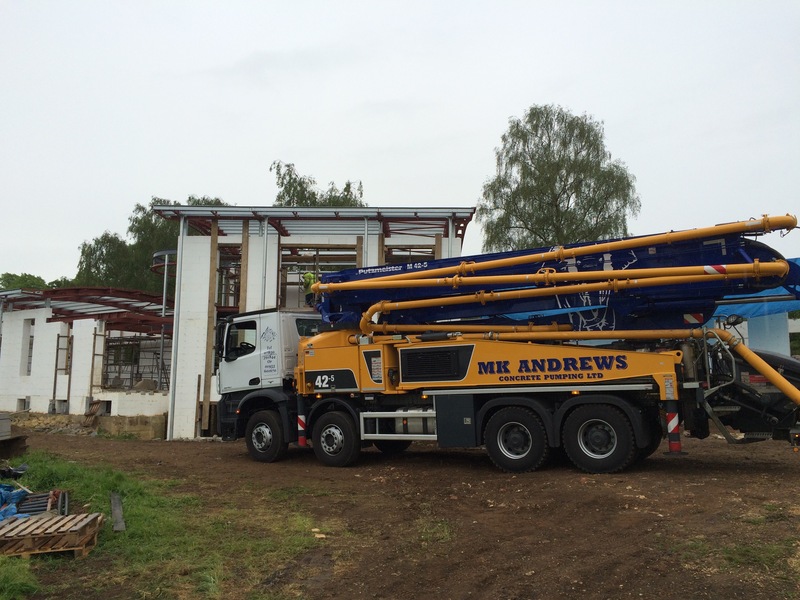 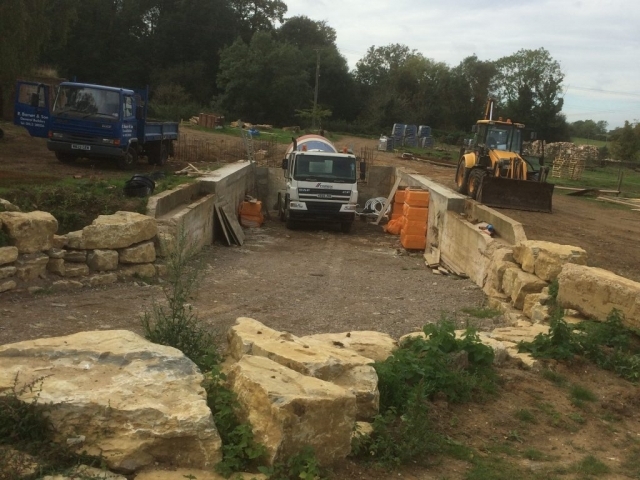 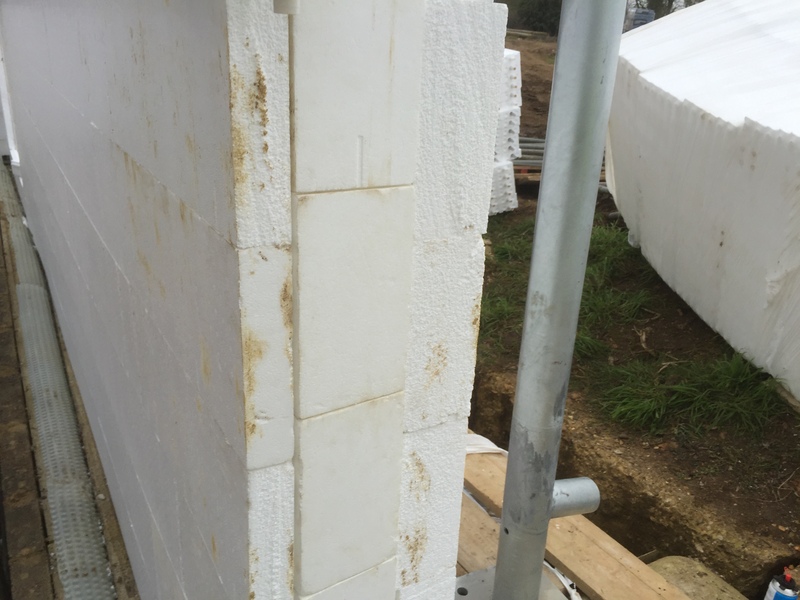 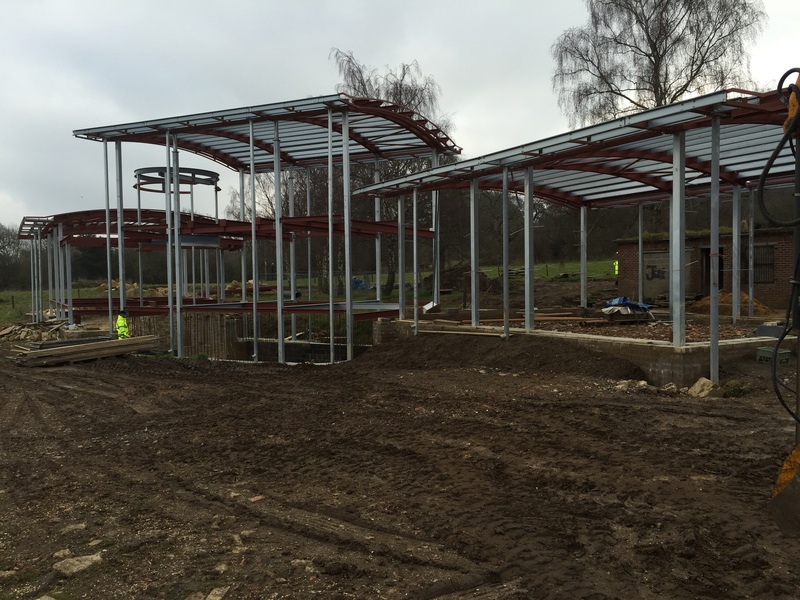 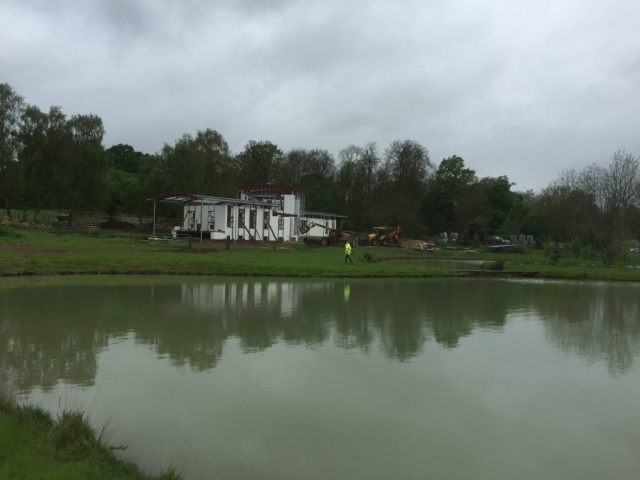 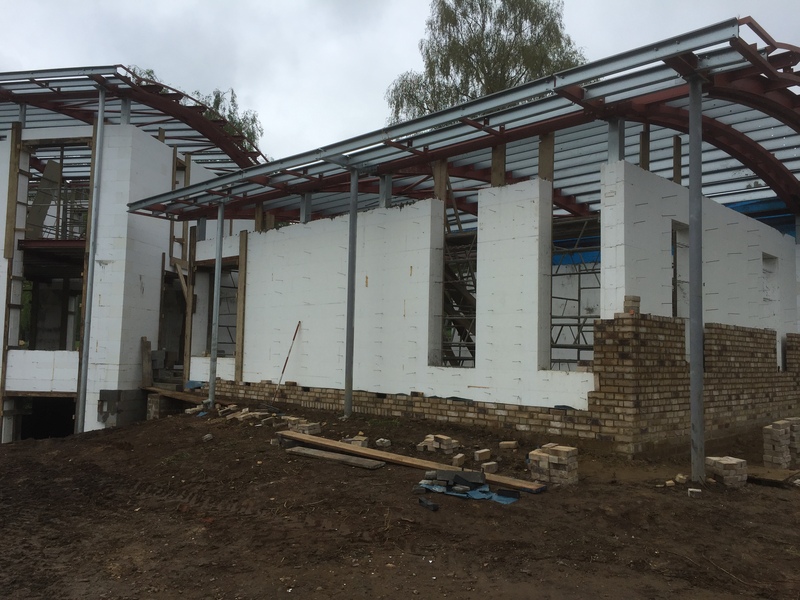 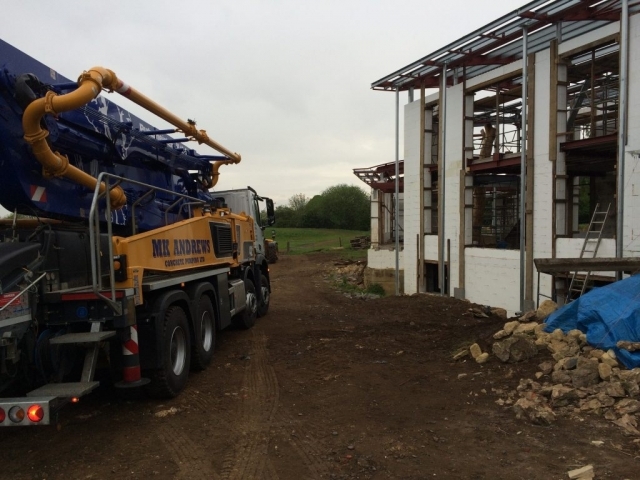 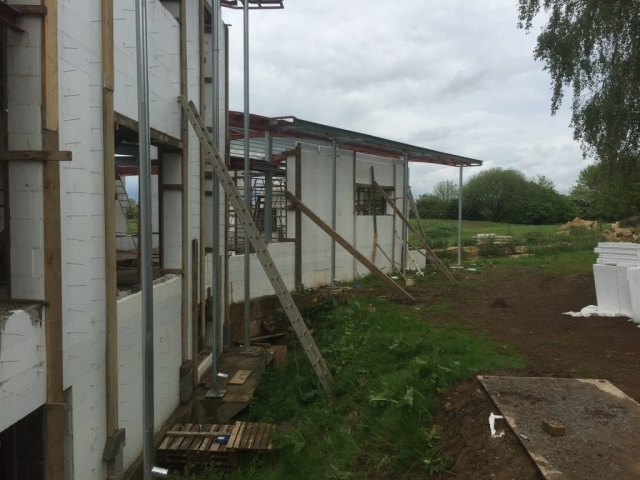 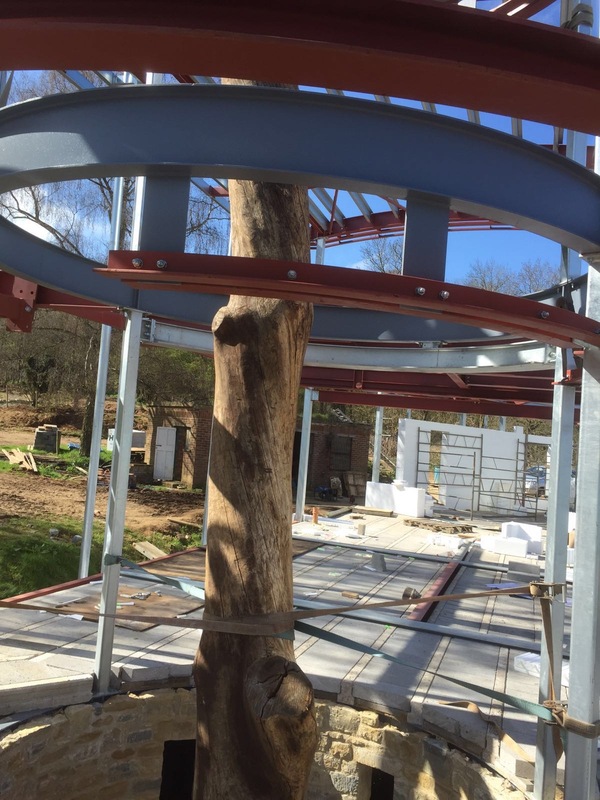 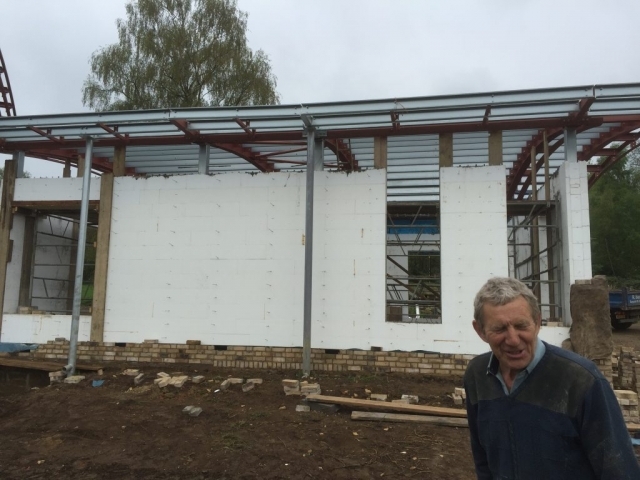 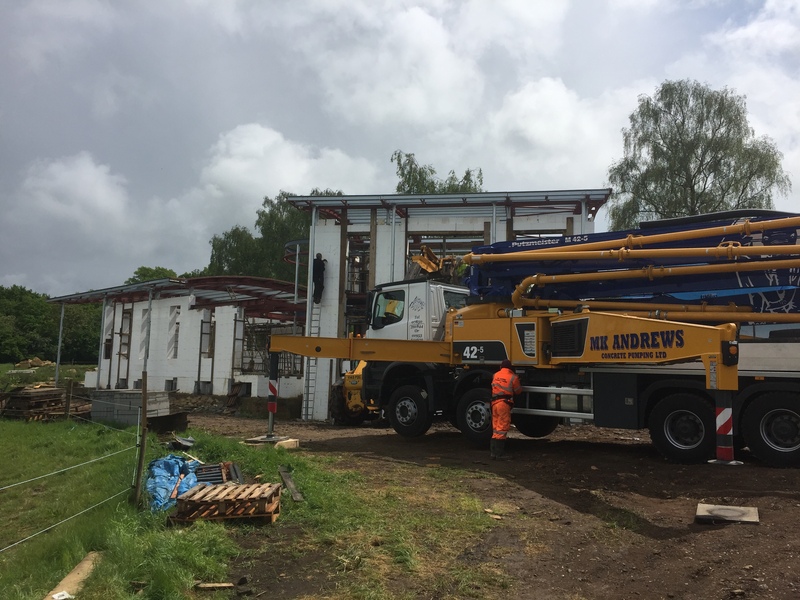 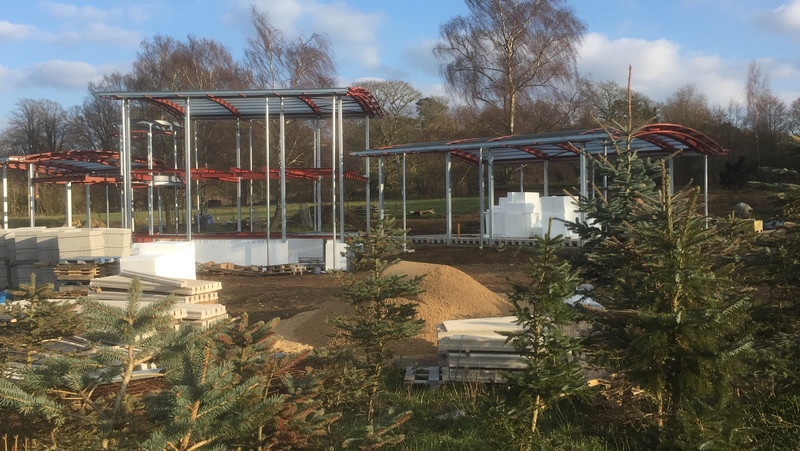 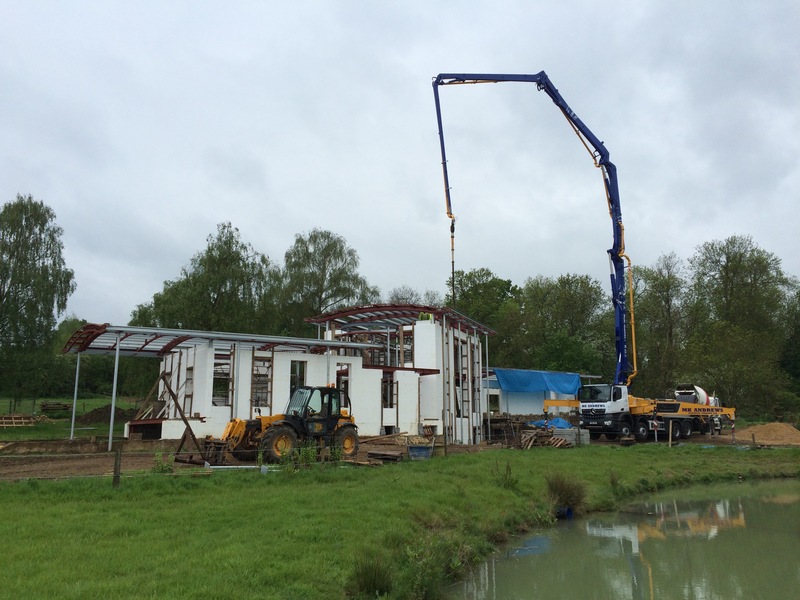 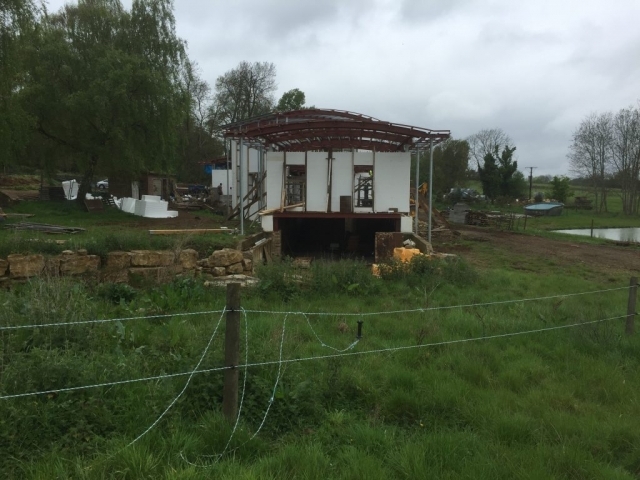 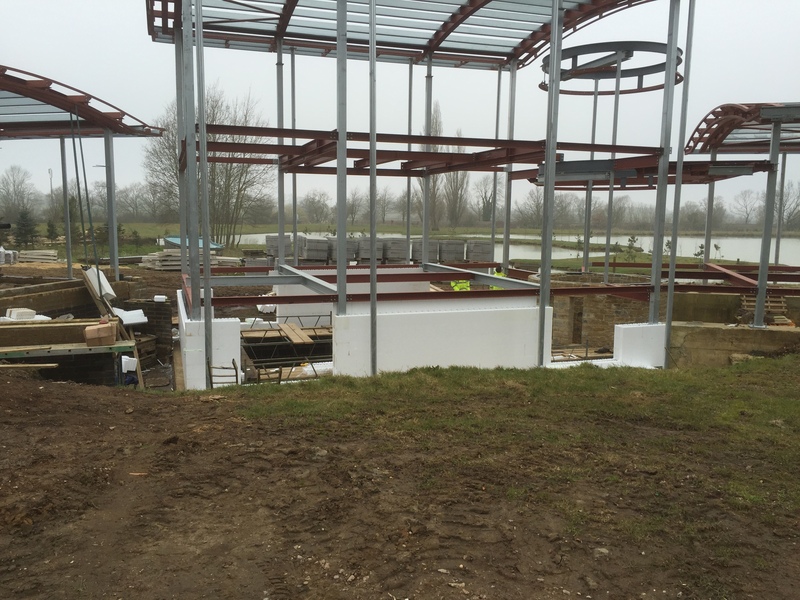 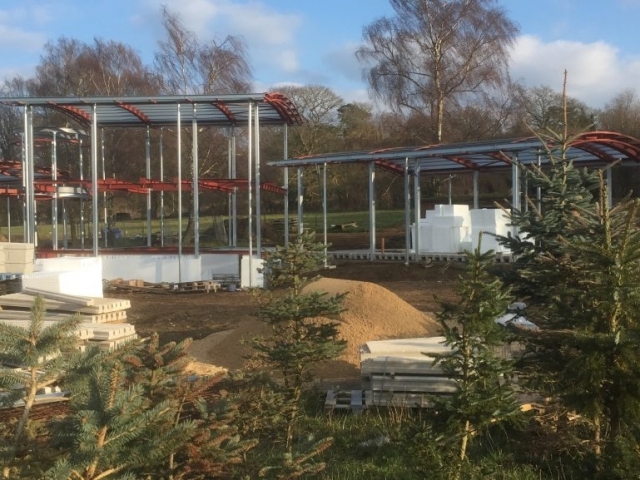 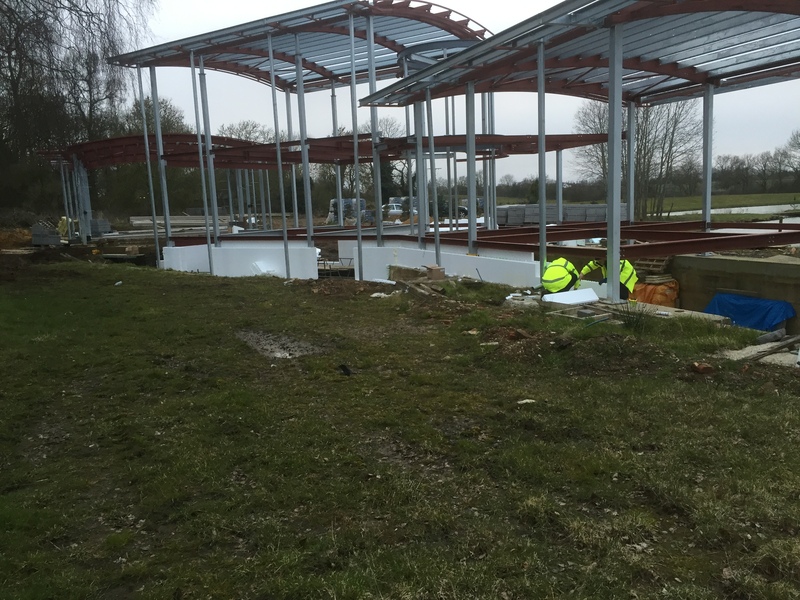 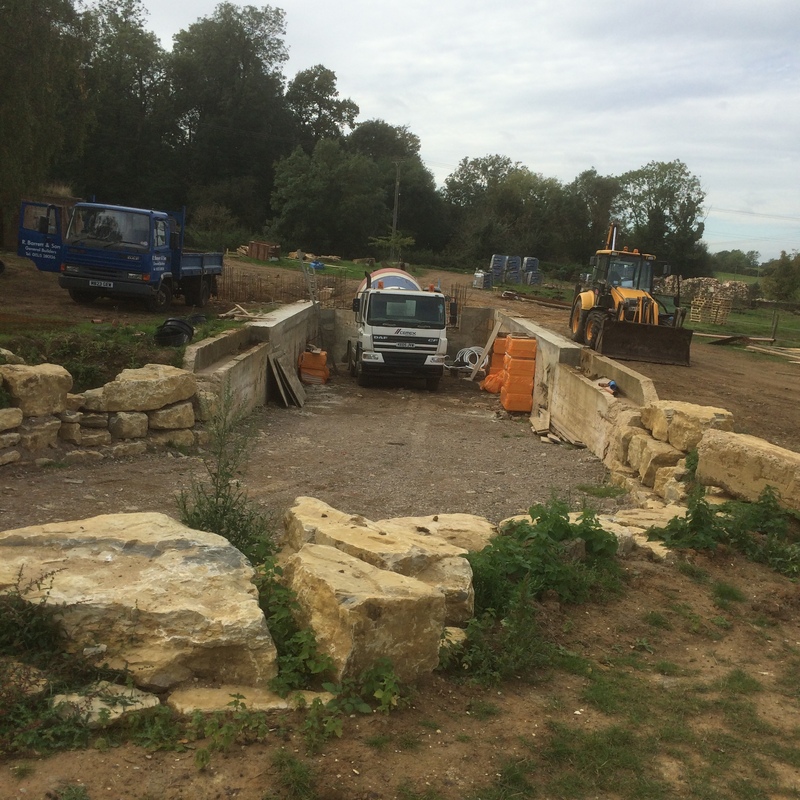 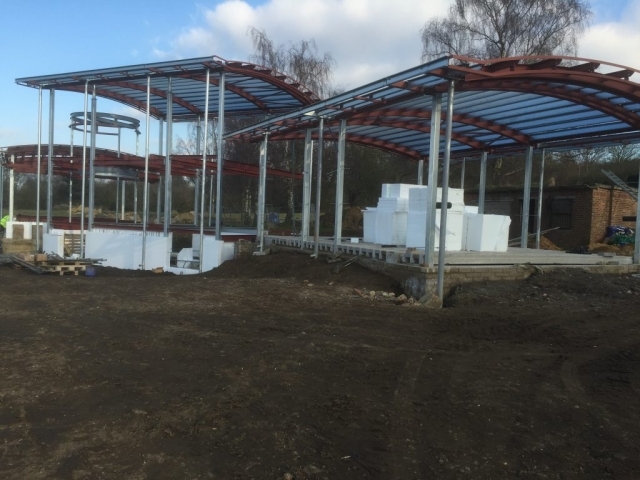 ICF delivery route: general design works to achieve building control approval. 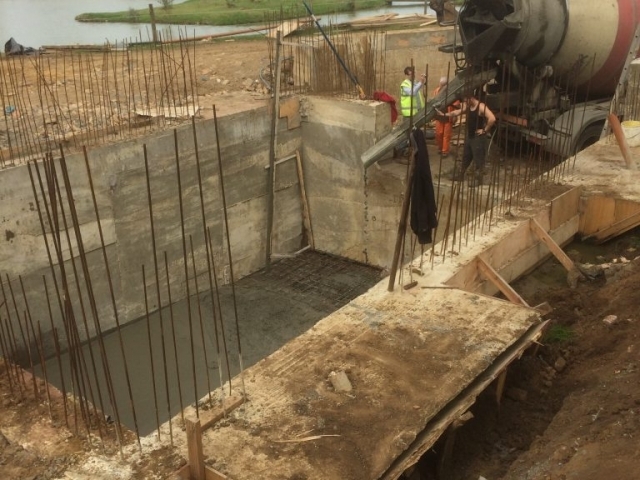 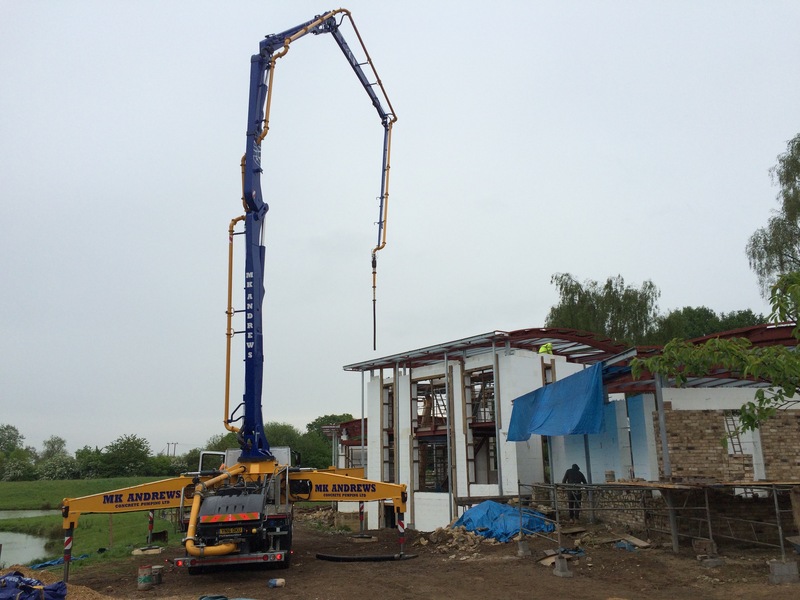 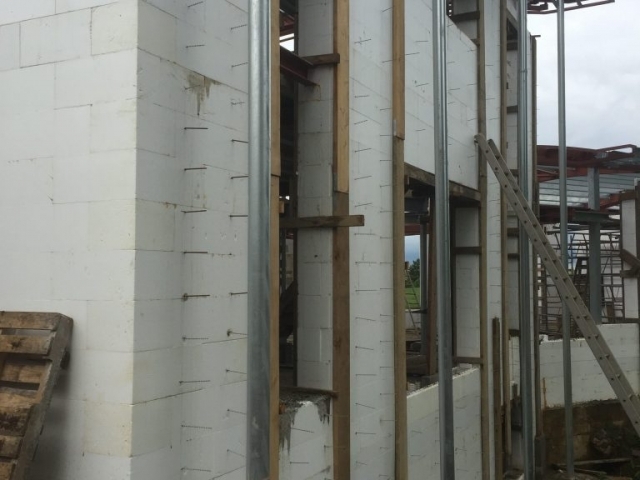 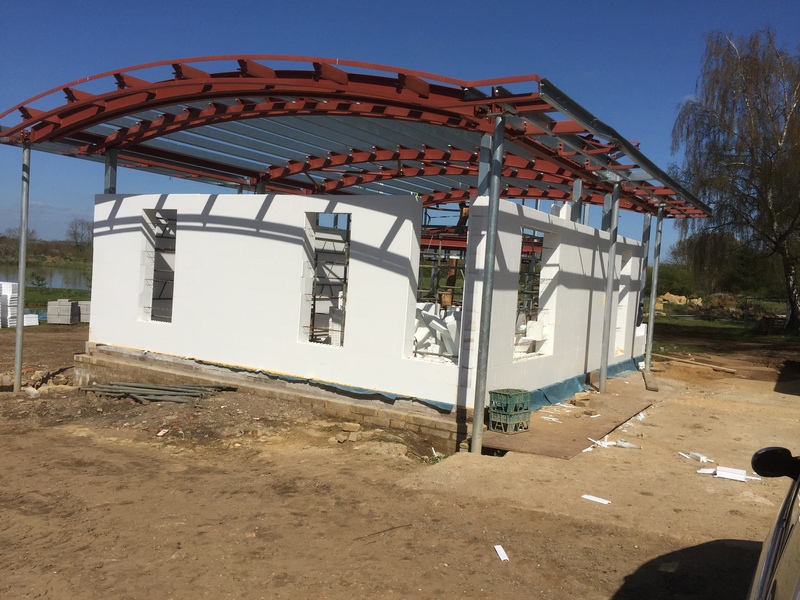 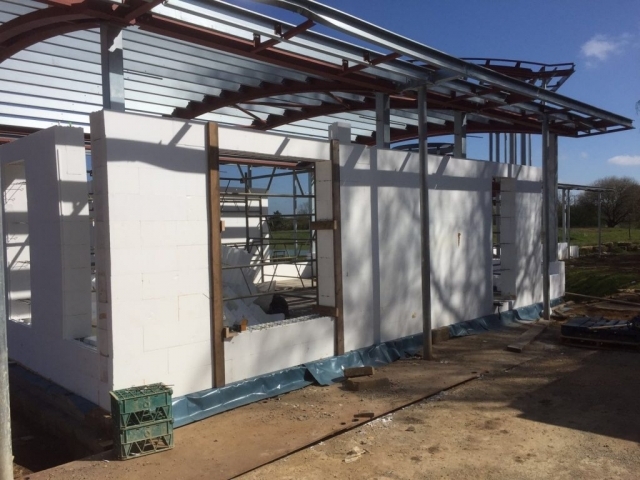 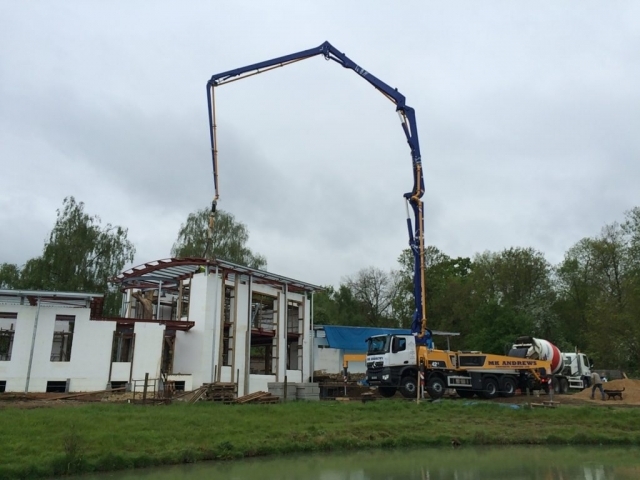 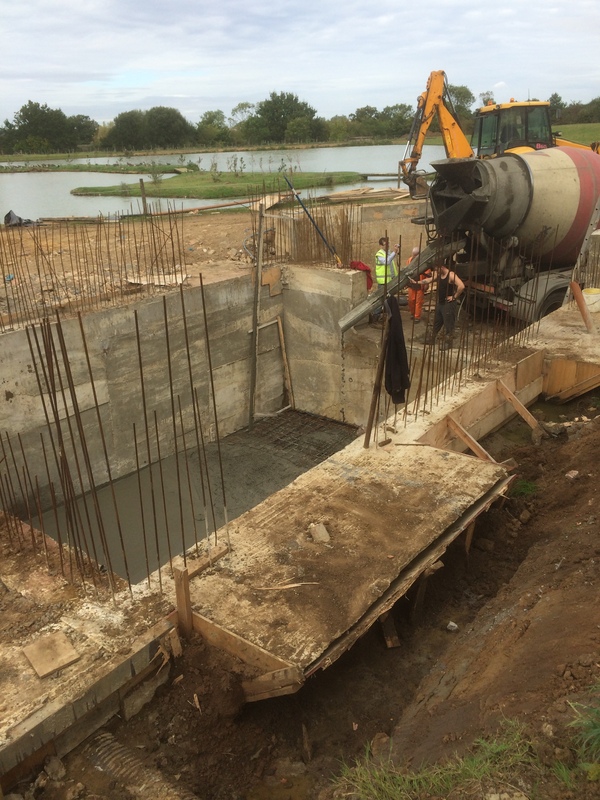 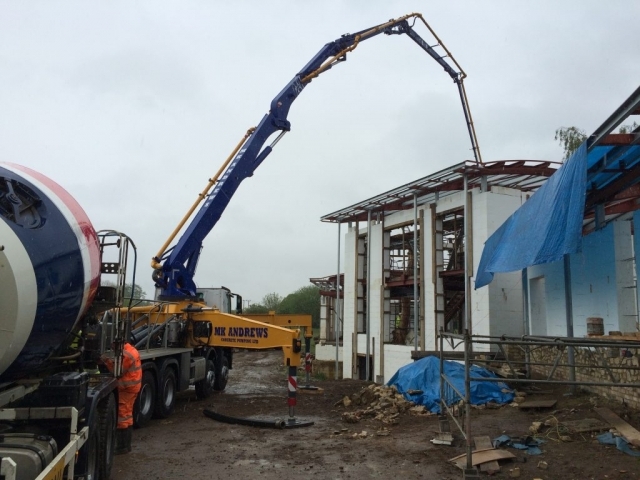 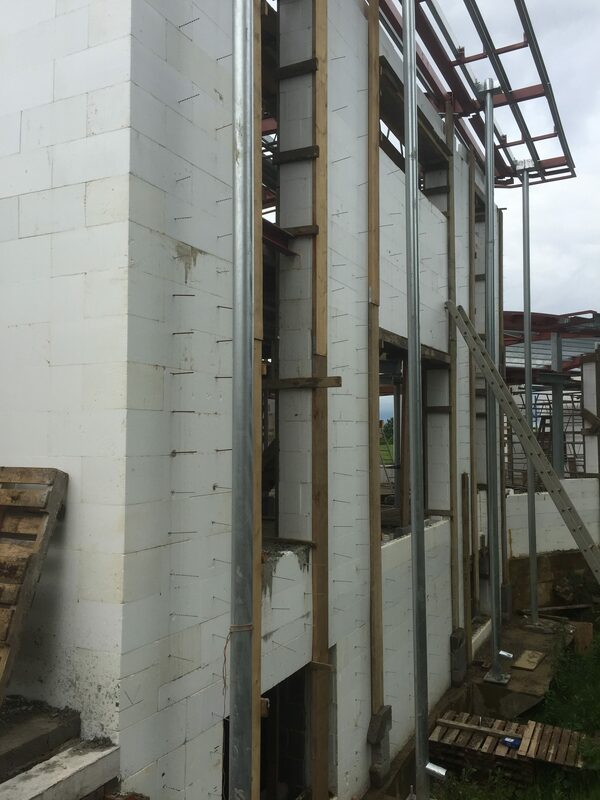 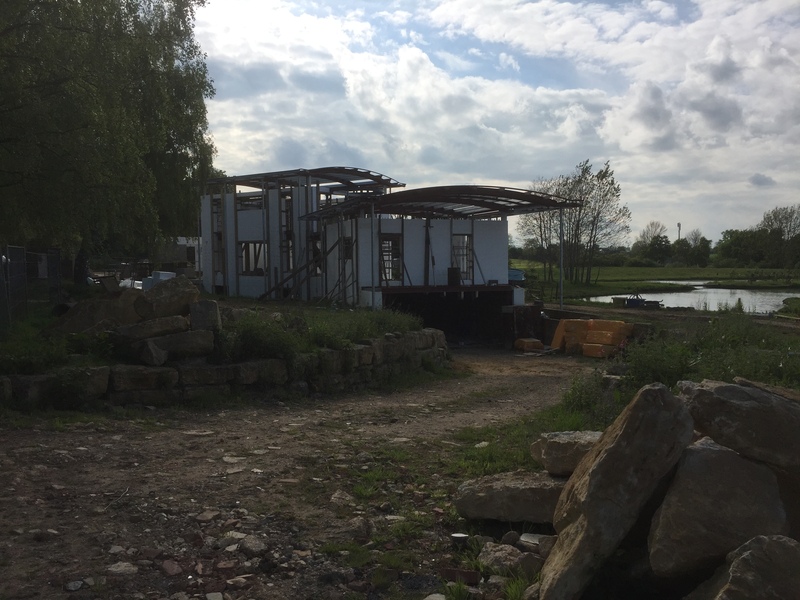 Supply and erection of the ICF building material. 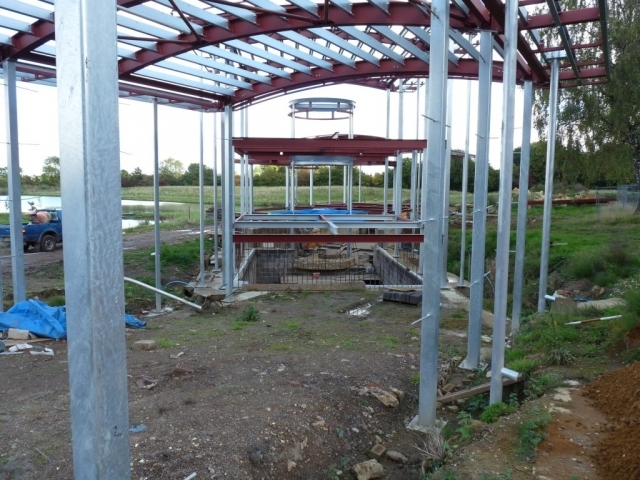 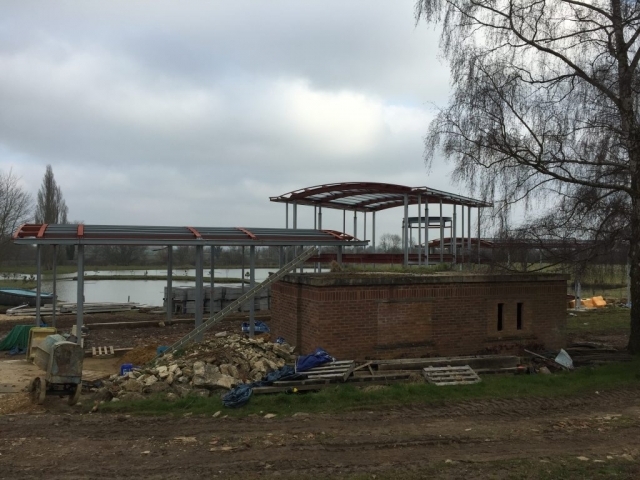 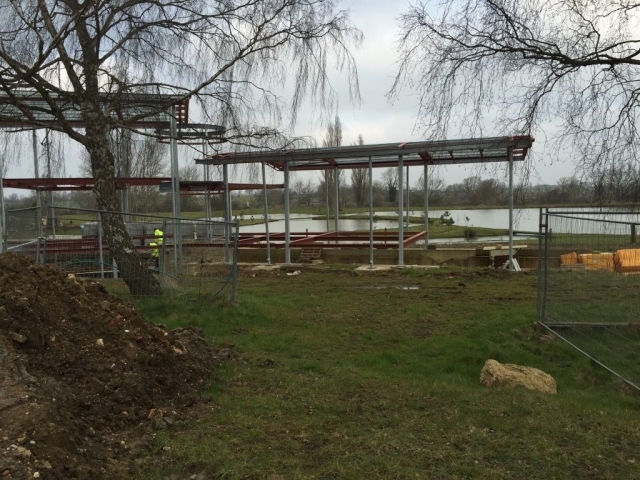 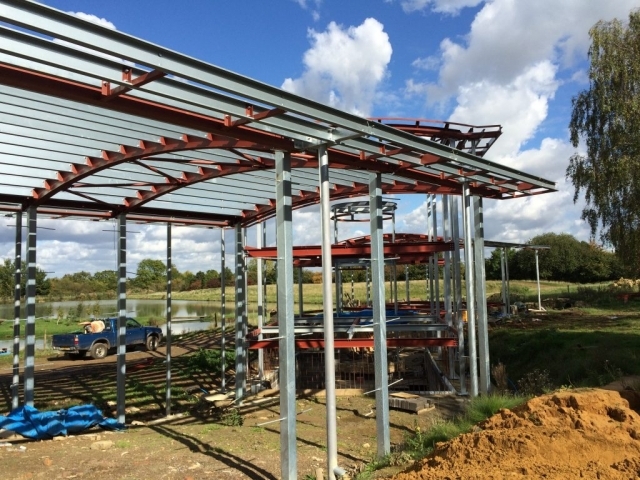 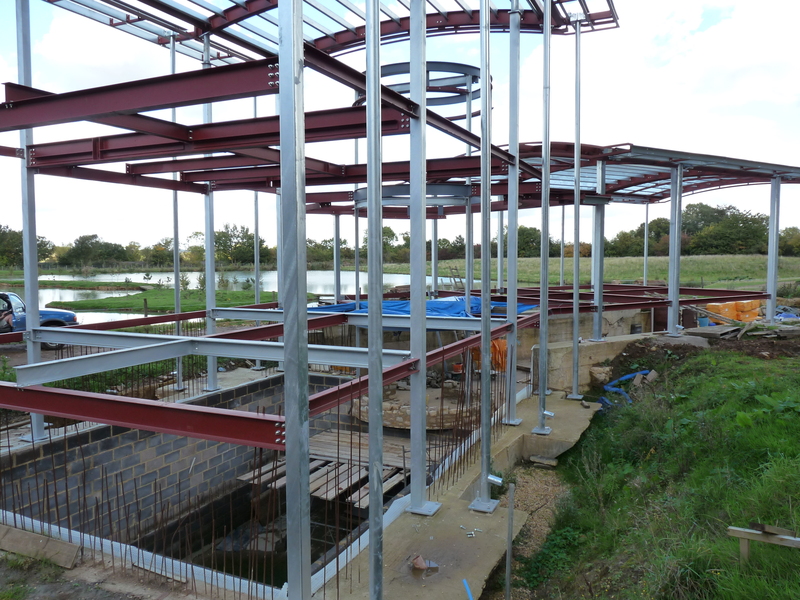 Project Location: Radwell Lakes, Milton Keynes. 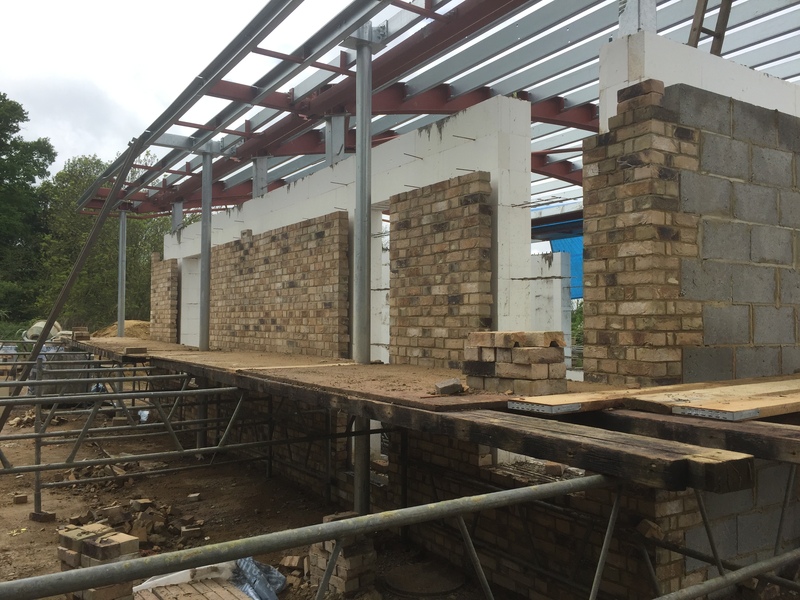 Finish: rubble stone and cavity brick-work. 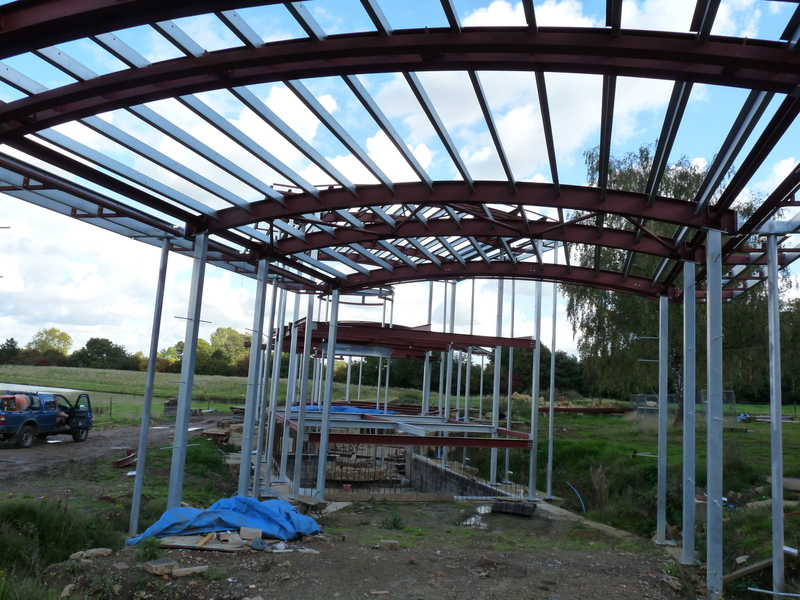 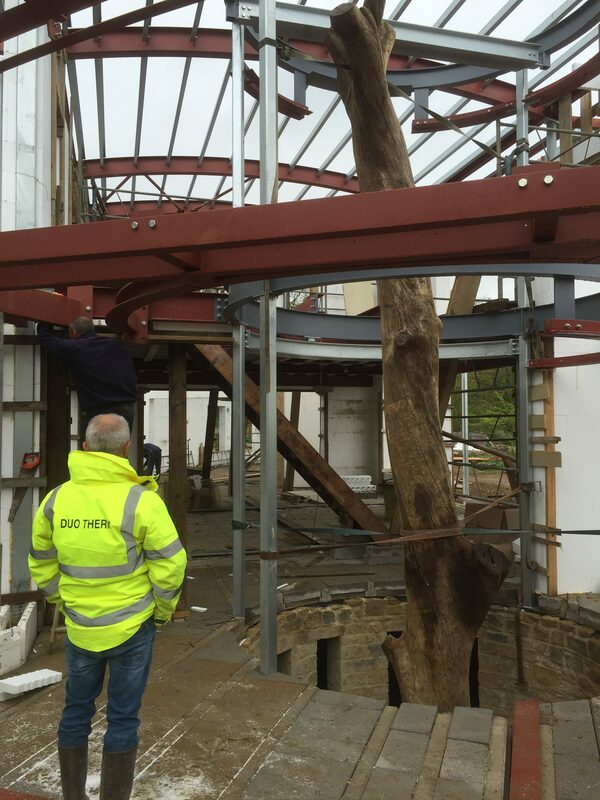 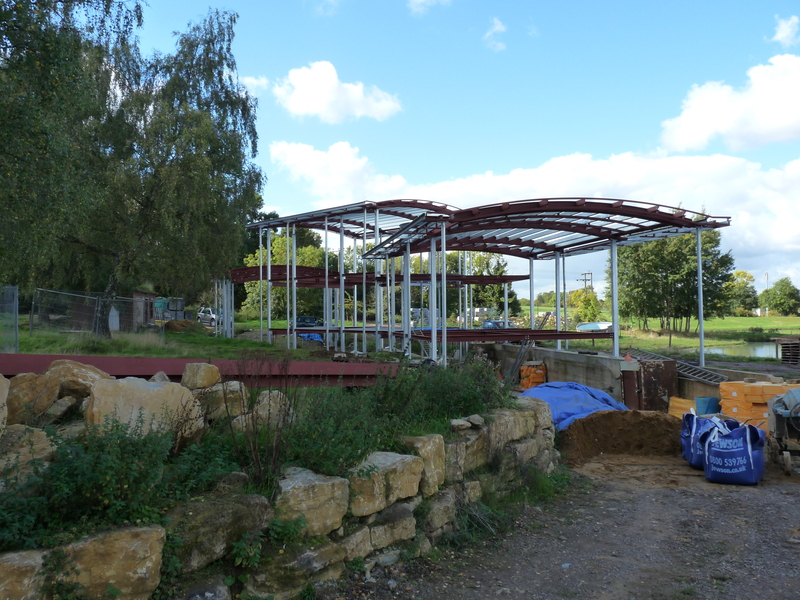 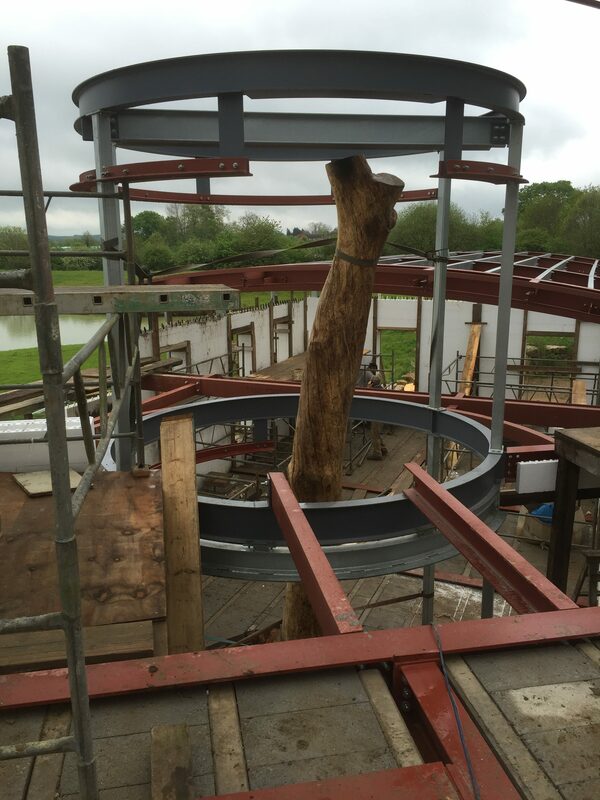 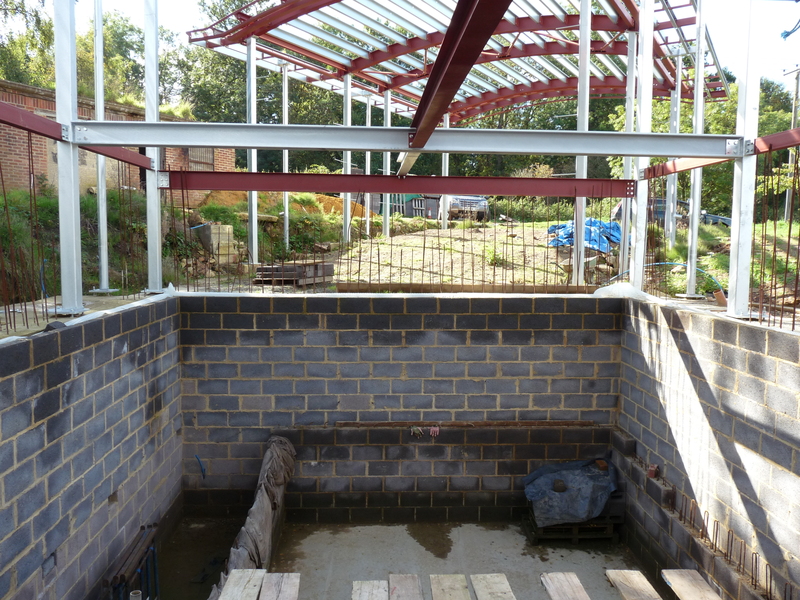 Roof: green roof on structural steel. 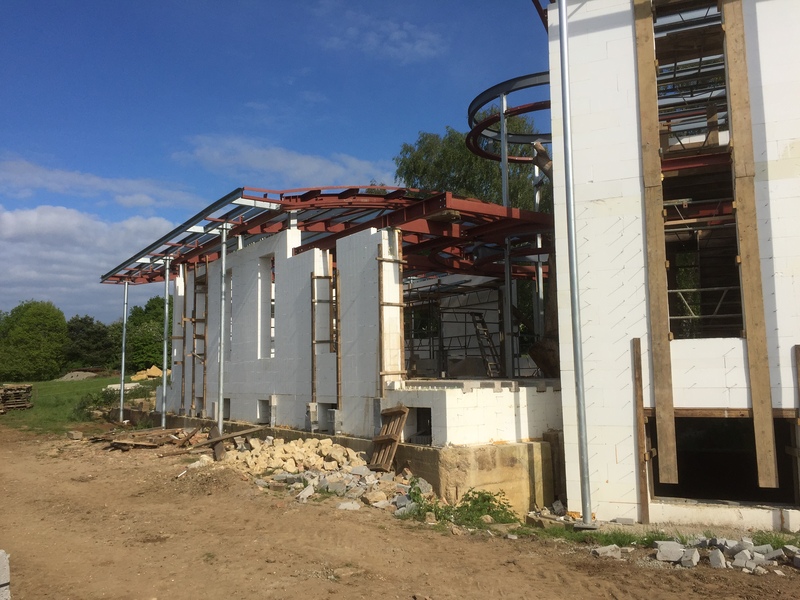 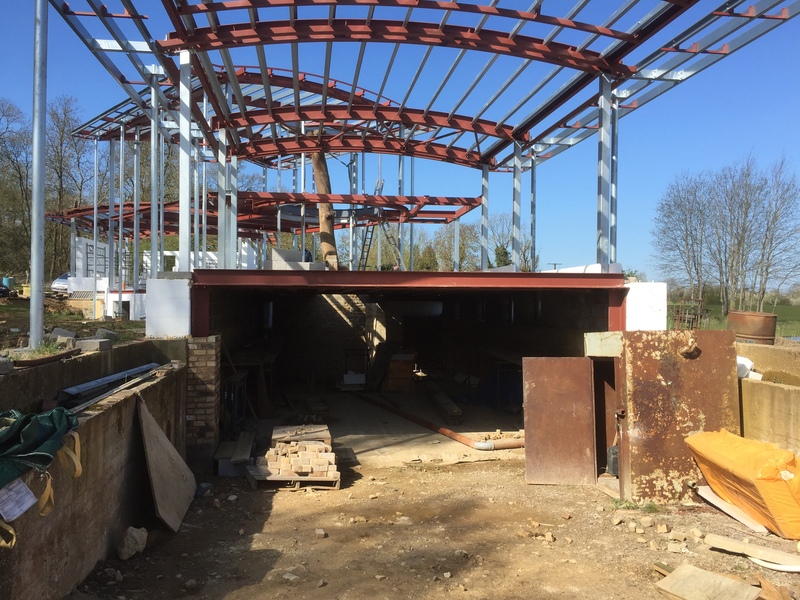 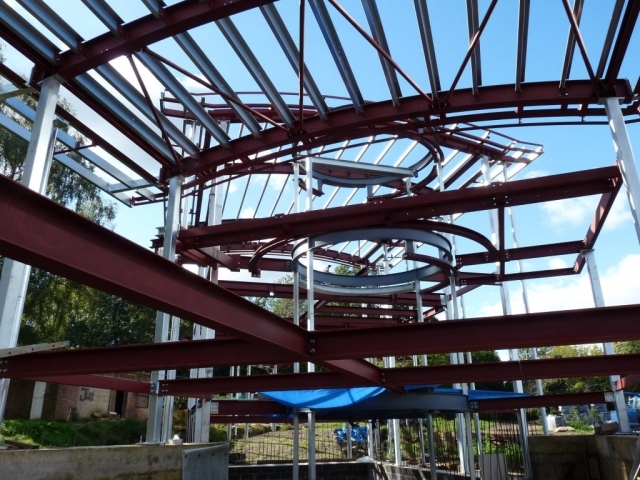 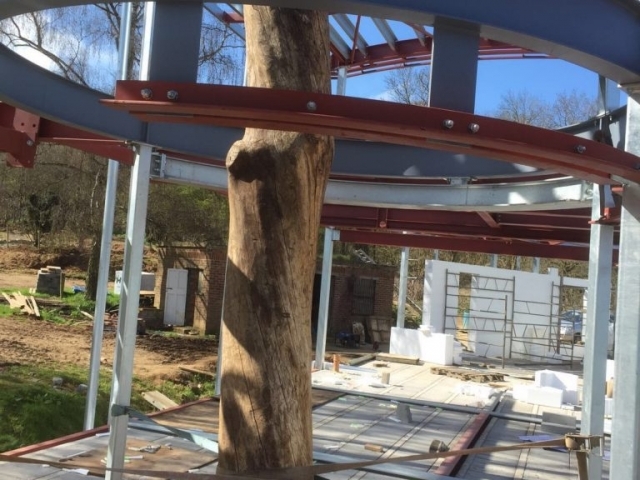 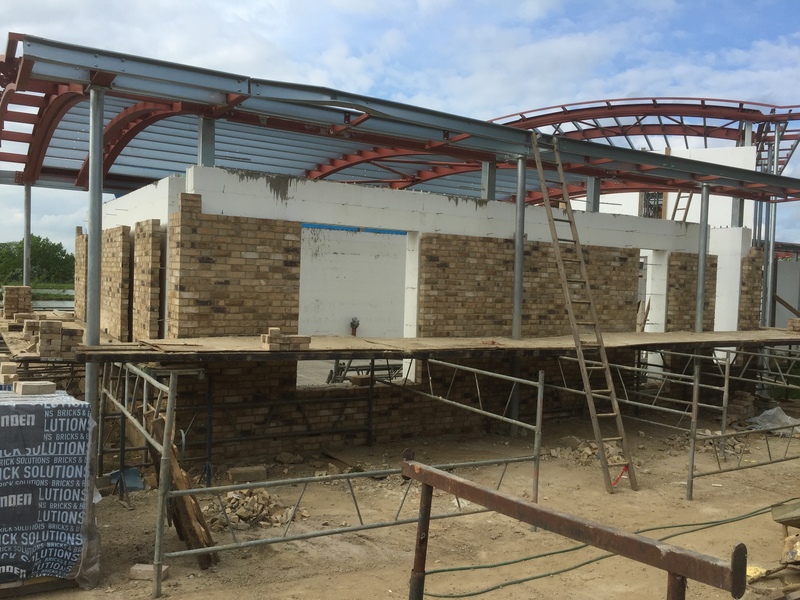 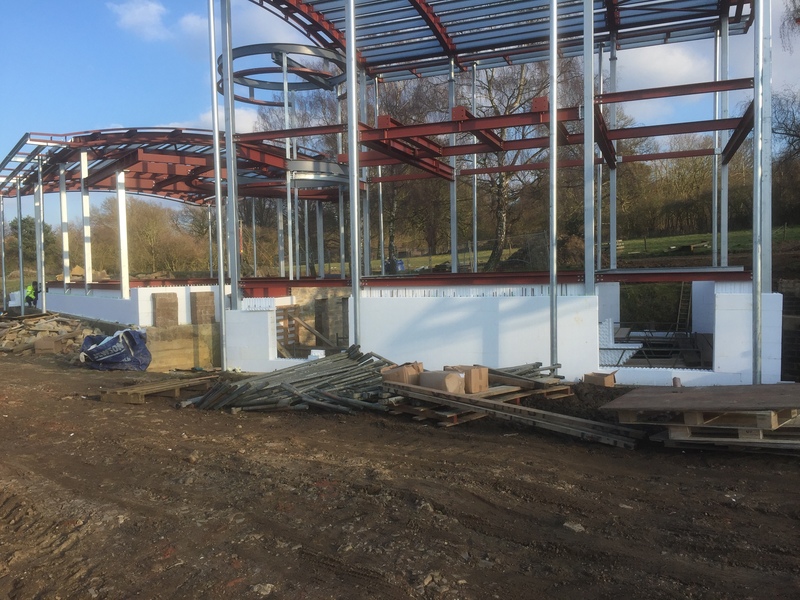 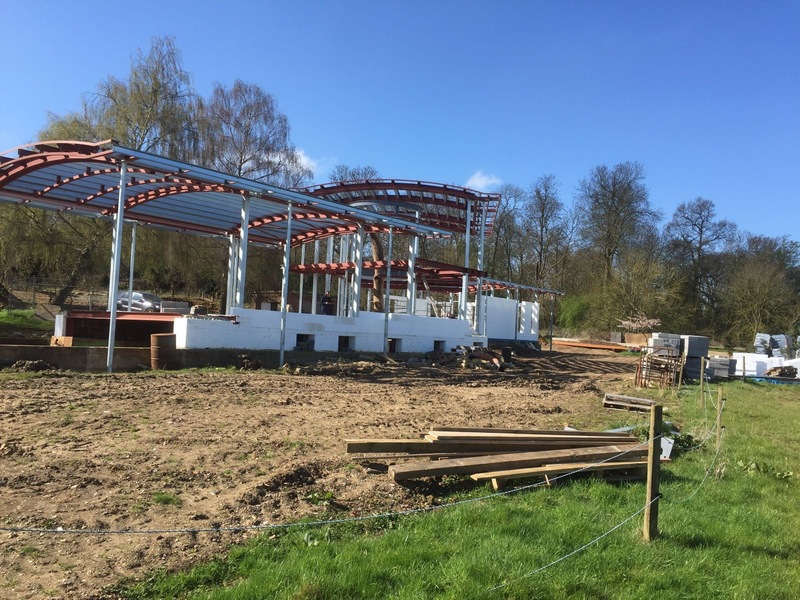 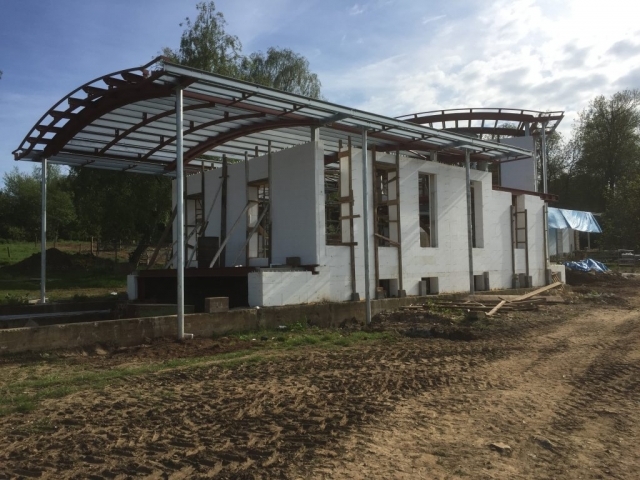 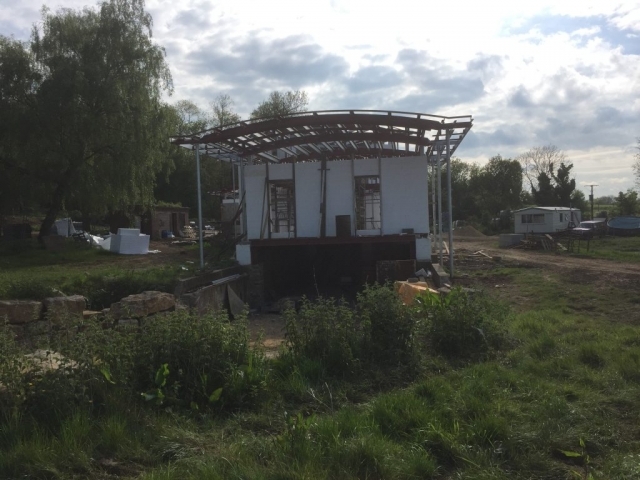 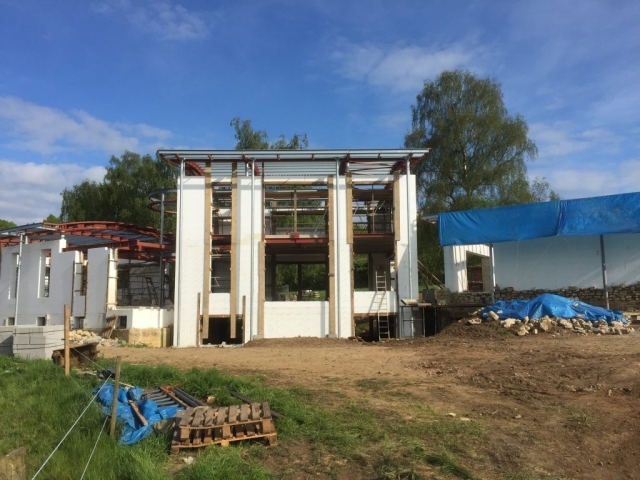 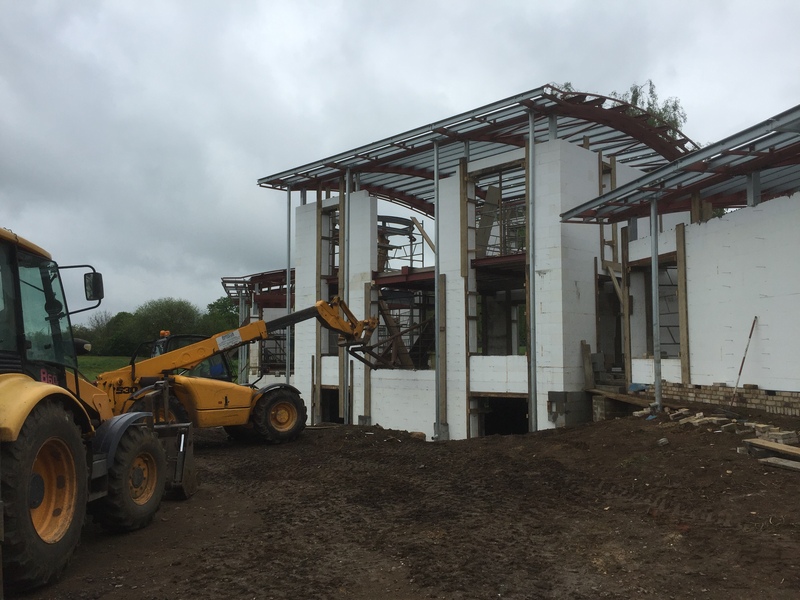 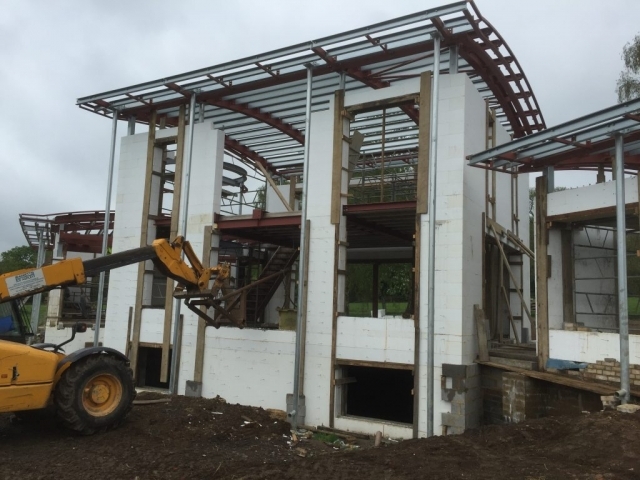 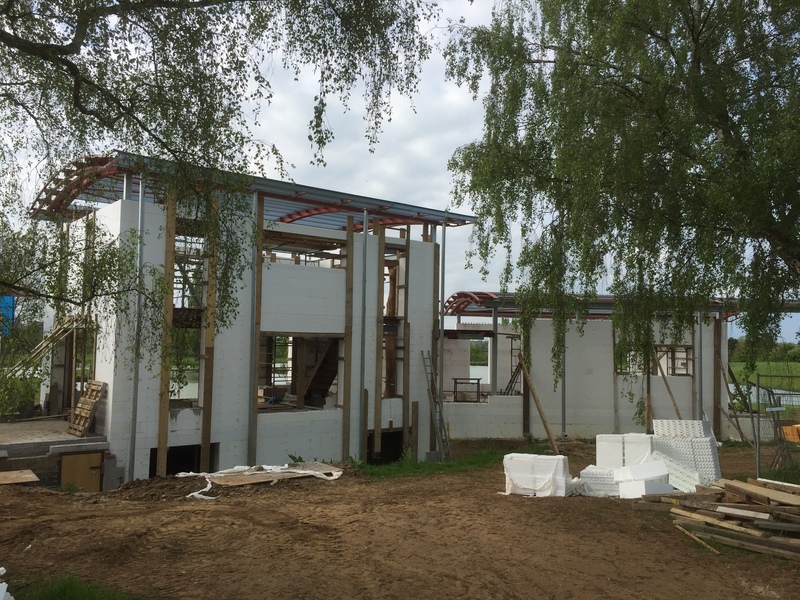 A diversion from a standard ICF structure within the forms vertically steel hollow section columns supports the roof over to allow clerestory windows to wrap around each block of the building. 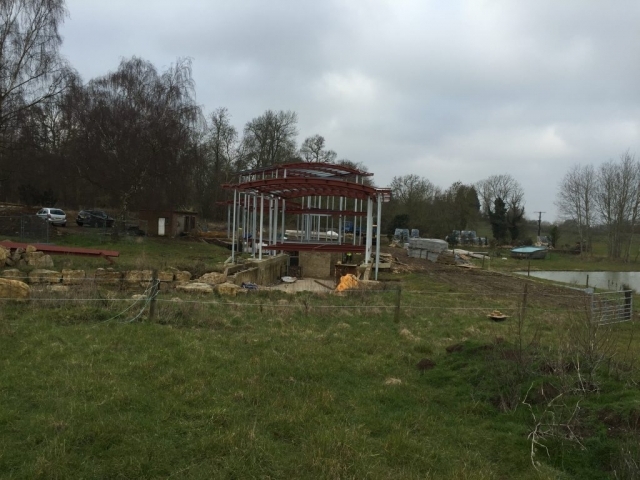 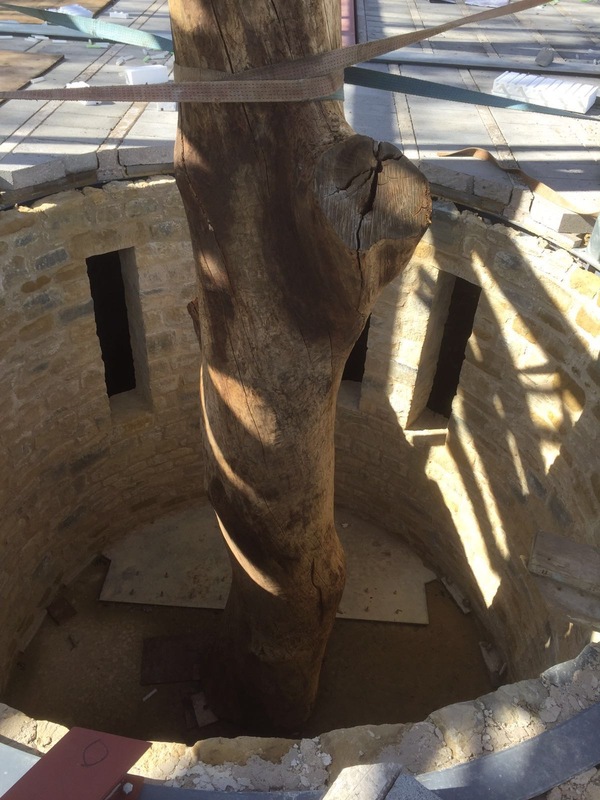 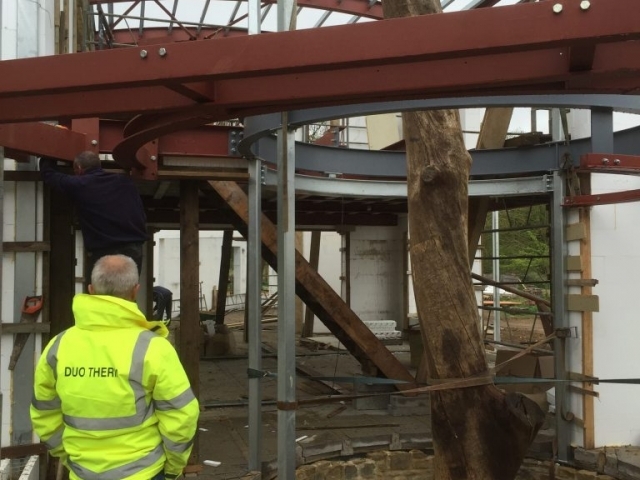 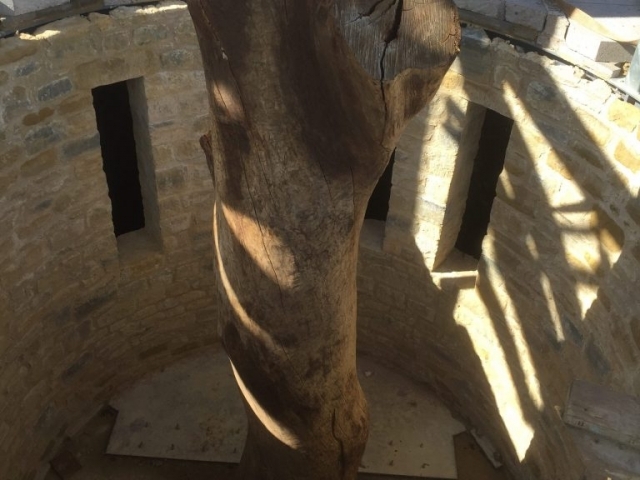 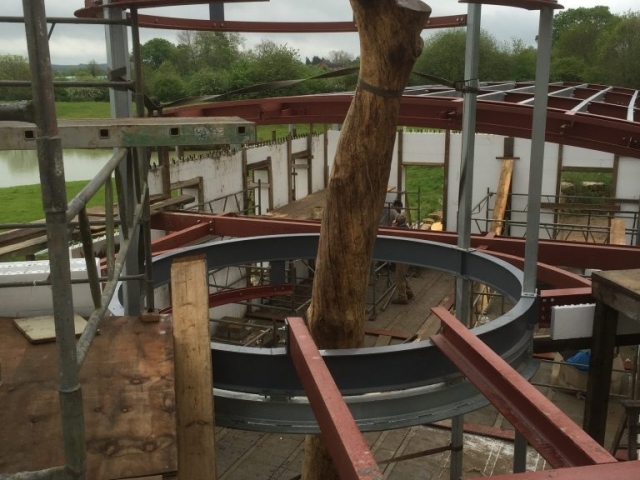 This is structurally and generally technically challenging project that has been enjoyed by all. 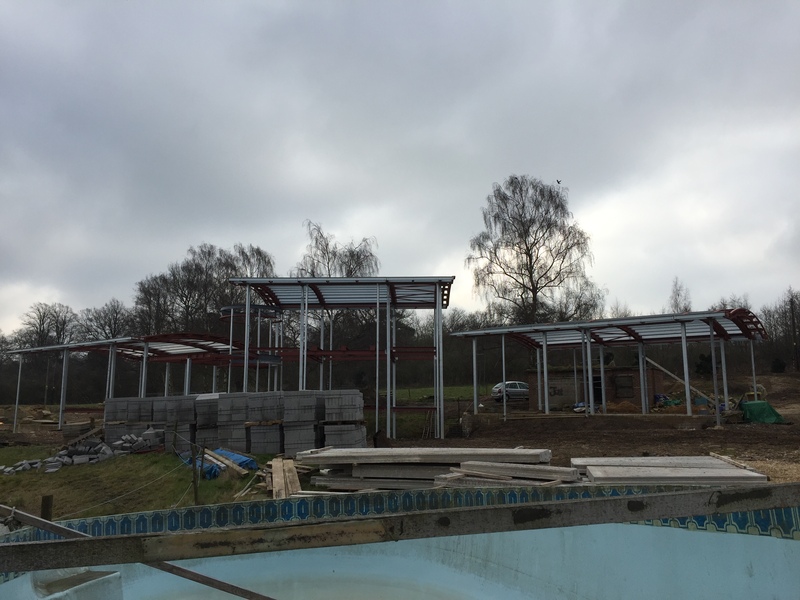 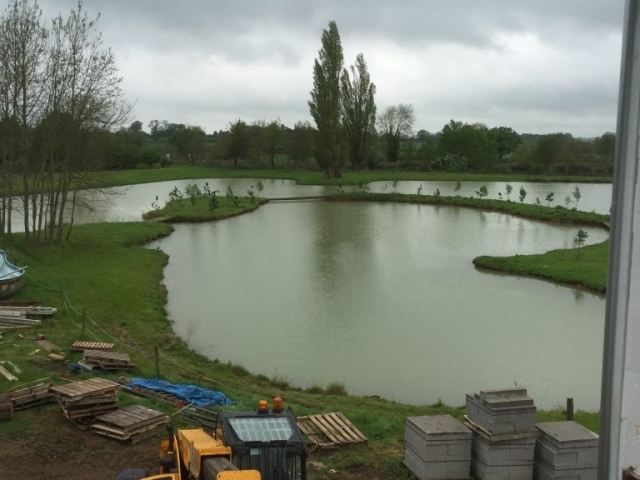 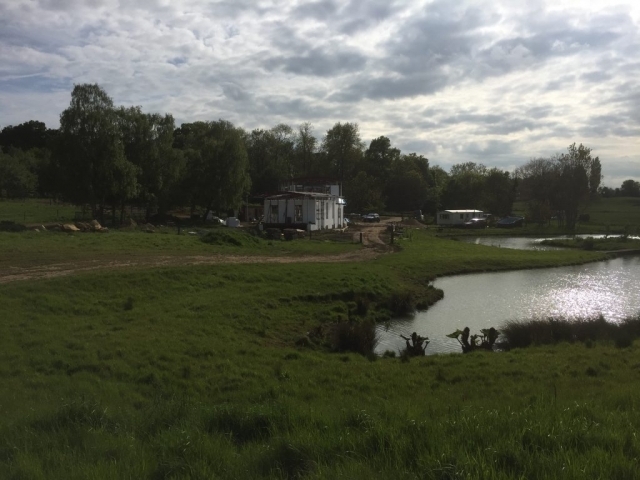 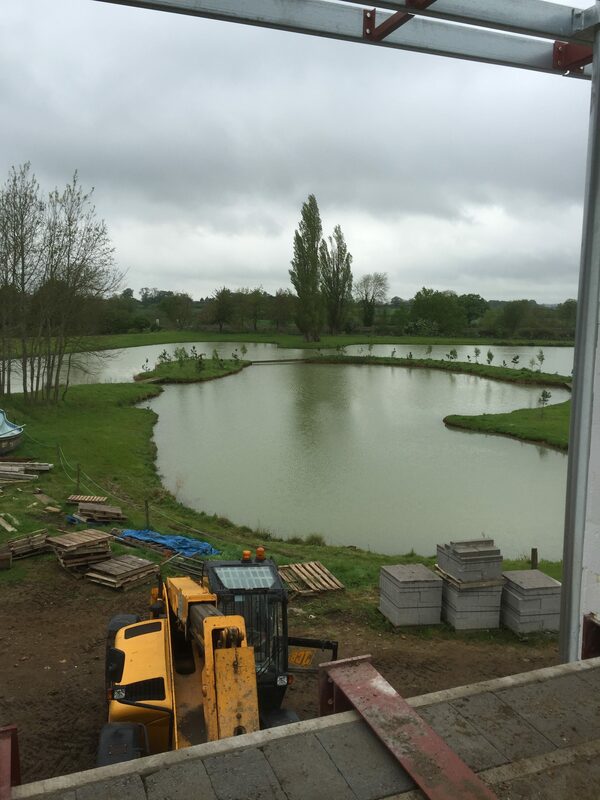 The swimming pool is heated by water from the pond to the front of the property, in which a system of heat exchangers is in place to make this work.